I’m back with another idea for using Talk Blocks in the classroom. Last time around I used the Talk Blocks by Learning Resources to teach letter sounds, this time I’m using them to increase student motivation. Research shows that students who are engaged and motivated learn more. One of the best ways I have found to engage and motivate young children is to use the cheers created by Dr. Jean. Dr. Jean has all of her cheers available for free on her website HERE. 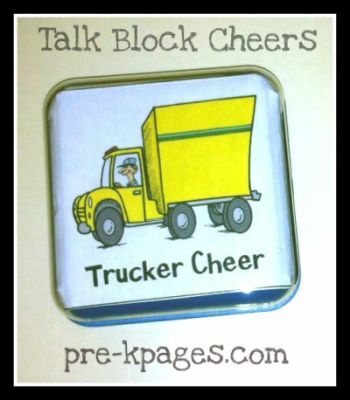 I created a video using a few cheers with the talk blocks, click below to watch. The cheers are Dr. Jean’s own original creations; I am just sharing a different way to utilize them in the classroom. If you need more visuals for the cheers check out Dr. Jean’s video on YouTube or the book Cheer Along With Dr. Jean which has pictures and step-by-step directions.